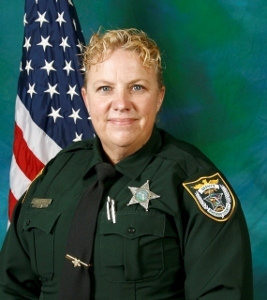 VIERA, Florida -- The Brevard County Commission voted unanimously 5-0 today to name the new Brevard County Sheriff's North Precinct as the "Deputy Barbara A. Pill Law Enforcement Facility" after the Sheriff's deputy who was shot and killed in the line of duty on March 6th, 2012 in Melbourne, Florida. 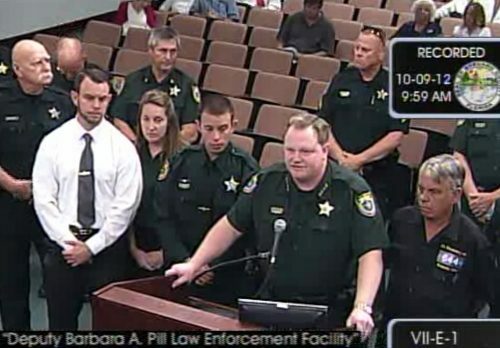 Th renaming of the facility came at the request of Brevard County Sheriff Jack Parker and the surviving relatives of Brevard County Sheriff's Deputy Barbara Pill. 22-year-old Brandon Lee Bradley and 19-year-old Andria Michelle Kerchner remain in custody awaiting trial in the murder of Deputy Pill.